General TV Channel / TV Venezuela is a Venezuelan cable television channel that can be seen only by people in the United States who subscribe to DirecTV Para Todos package channel 409, to COMCAST channel 665 or to Warner channel 823 among many others. TV Venezuela was created by an alliance of Globovisión and Canal Sur. It first went on the air on January 11, 2006. 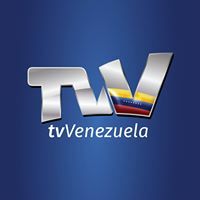 To see TV Venezuela's complete programming chart for the week, click here. Most of the advertisements seen on TV Venezuela are for charities and human rights organizations including UNICEF, Venezuelan Red Cross, Fundación La Salle, Fe y Alegría, etc.